A large canvas to express their love is a dream that every couple sees with open eyes. 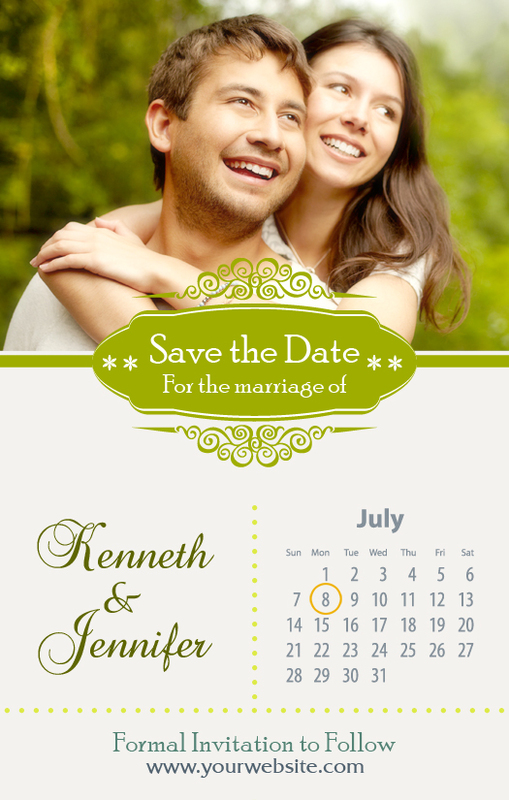 A custom 3.5 x 5.5 inch large wedding save the date square corner magnet offers that golden space to couples to express their love for each other and to share that great news. A personalized 3.5 x 5.5 inch large wedding save the date square corner magnet serves as a testament of love, it helps to portray the excitement of nuptials, and it transfixes the duller refrigerator doors or working cabinets, serves as a reminder and becomes a beautiful memorabilia of a great wedding. Product Size : 3.5 in. x 5.5 in.